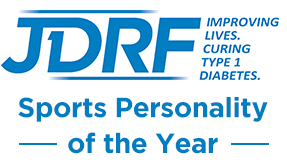 Diabetes UK Inspire Awards Nomination! | Life, Sport and Diabetes - An everyday look at my life with type 1 diabetes. Diabetes UK Inspire Awards Nomination! Thanks so much to whoever nominated me for the Diabetes UK Inspire Awards 2016! I'm really grateful that somebody took the time to vote in the category of Supporting Others.